We gave our thoughts on the upcoming NBC newbies, and now it's time for Fox. As always vote in the poll and leave your thoughts in the comments below. I had always thought audiences would like this supernatural comedy, however it has very little buzz. If enough people watch the premiere, thanks to the Adam Scott led comedy getting the best possible comedy lead-in, The Simpsons, I think the viewers will stick around for the rest of the season. It probably won't be huge, or flop. I think it will be on the better side of the bubble, and get renewed. This is a tough one, because the show really doesn't have much buzz but it'll be getting the best comedy lead-in on Fox: Fall Simpsons. I think the show will very likely have a fractional average, since it'll never get a direct football lead in (like previous 8:30 occupant Son of Zorn), high fractionals could be enough to get it renewed. However, the lack of buzz still worries me. Either way, I'm going Renew. Fox's only new fall comedy gets the best slot possible, Sundays after The Simpsons. This means that it will be boosted by football on several nights and still have a solid lead-in from America's favorite yellow family on others. The series is also capped at 11 episodes, so it won't have to air in the winter months against the Olympics or other big events. 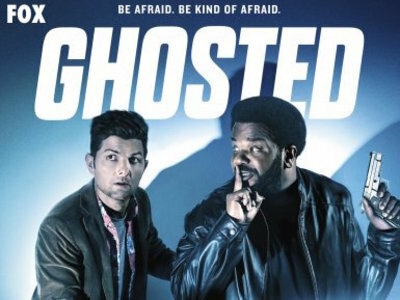 While Ghosted has many advantages, that doesn't mean it's a sure hit for Fox. The past 3 comedies that have aired after The Simpsons (Cooper Barrett, Son of Zorn, Making History) did not do well. Also, Ghosted is doing very poorly on the social media front and doesn't even have 2,000 followers on twitter. Despite that, I think football will keep it afloat and Fox will give it another go. Renew. Football did not keep Son of Zorn afloat. The same thing will happen with this show. It has very little buzz on the social front. Cancel. This one is really tricky. I think it will be a stronger show than last year's Son of Zorn, but strong enough for a renewal? I'm really not sure. I'm going to go with renewal just because FOX has had such a hard time finding new comedies that work, so I think one that doesn't flop will get renewed. What will be the fate of 'Ghosted'? FOX has a lot of faith in this one. It's being given a huge launch with football, and was given and early straight to series order. Besides that, it has a lot of buzz, with its social media accounts growing hugely in followers. It's also has received decent critical feedback on its trailer, and has Seth Macfarlane (who made a million hit comedies) attached to it. I don't think this one will be huge, but I also don't think it'll flop. I see it doing average, but average enough to get renewed. 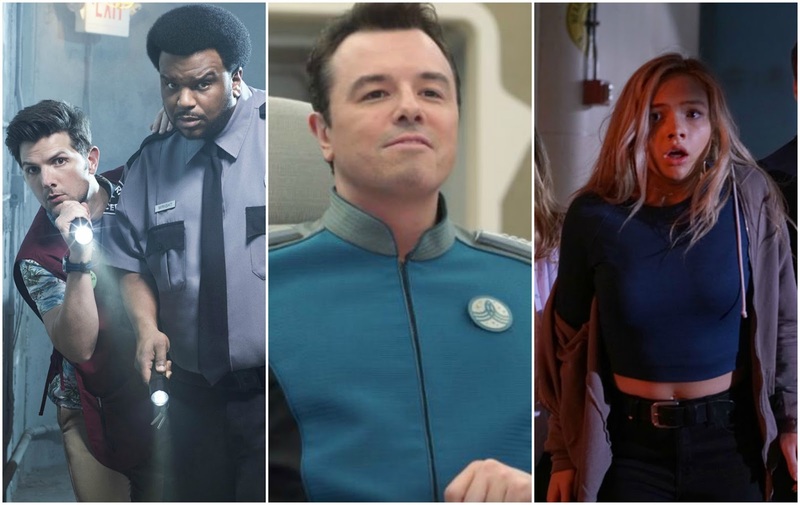 The Orville is being given a huge launchpad, football, for its quickly-approaching series premiere. That should give it a huge lead-in, which should be enough to give the show a solid start. Now after its football-boosted episodes, who really knows. The show it could go either way, because while it's getting a huge premiere lead-in and a lot of promotion, Gotham isn't a great (or very compatible) lead-in. I think this show will do enough to be renewed, but it'll likely be in bubble territory. Renew. Football gives this show a great launching pad, which should be enough for a solid enough start. It also has a lot of buzz, promotion, and Seth MacFarlane. I think this is going in the renew category. Another tricky one on FOX. It is actually doing quite well in terms of online interest, and with the way that FOX is premiering this one, it just might work. However, I think that in the end it might end up being too genre for typical Seth MacFarlane fans, and too Seth MacFarlane for typical genre fans. So, I think this one will end up getting canceled. 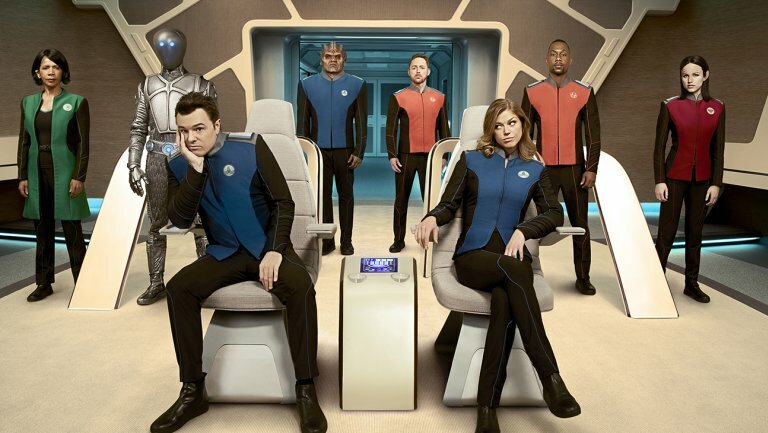 What will be the fate of 'The Orville'? Marvel, good social media testing, positive trailer reception = renew. I don't see this show being a huge hit, but I think it'll be quite solid. It's the most promising Fall show for Fox, and I think it'll start really solid. It'll definitely dip in the coming weeks, but it should still be at levels high enough to get it renewed. Renew. Marvel, positive reception, social media buzz = easy renew. It seems to have most everything going in its favor, and when you're airing on FOX, that's a big deal. I don't see any reason to predict anything other than renewal. 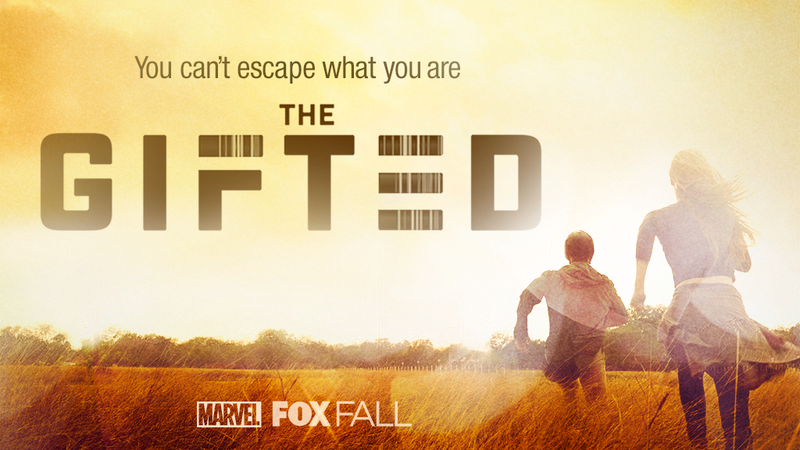 What will be the fate of 'The Gifted'?